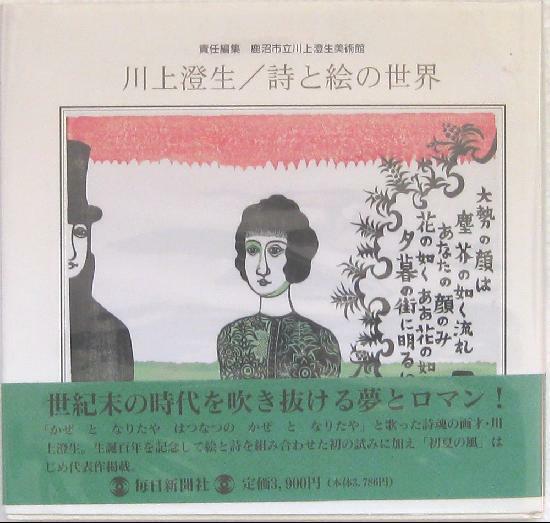 Kawakami Sumio Shi to-e no sekai – The World of Kawakami Sumio: poetry and pictures, exhibition catalogue published by The Kanuma Municipal Art Museum of Kawakami Sumio in 1995. 120 pp. Hardbound with dust-jacket. 26 x 24.5 cm. Excellent overview of his work in colour and b/w. Fine condition. In Japanese.